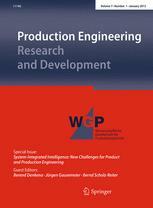 S. Bosse, F. Pantke, Distributed computing and reliable communication in sensor networks using multi-agent systems, Production Engineering, Research and Development, 2012, ISSN: 0944-6524, DOI:10.1007/s11740-012-0420-8. There is a growing demand for robust distributed computing and systems in sensor networks. Interaction between nodes is required to manage and distribute information. One common interaction model is the mobile agent. An agent approach provides stronger autonomy than a traditional object or remote-procedure-call based approach. Agents can decide for themselves, which actions are performed, and they are capable of flexible behaviour, reacting on the environment and other agents, providing some degree of robustness. The focus of the application scenario lies on sensor networks and low-power, resource-aware single System-On-Chip (SoC) designs, i.e., for use in sensor-equipped technical structures and materials. We propose and compare two different data processing and communication architectures for the implementation of mobile agents in sensor networks consisting of single microchip low-resource nodes. Furthermore, a reliable smart communication protocol for incomplete and irregular networks are introduced. Two case studies show the suitability of agent-based approaches for distributed computing. S. Bosse, F. Pantke, F. Kirchner, Data Processing and Communication in Distributed Low-power Sensor Networks using Multi-agent Systems, Proceedings of the 1st Joint Symposium on System-integrated Intelligence: New Challenges for Product and Production Engineering, June 27th – 29th 2012: Hannover, Germany, Special Session Enabling Technologies for Sensorial Materials – Taking sensor integration, 2012. Recently emerging trends in engineering and micro-system applications such as the development of sensorial materials show a growing demand for autonomous networks of miniaturized smart sensors and actuators embedded in technical structures. With increasing miniaturization and sensor-actuator density, decentralized network and data processing architectures are preferred or required. A multi-agent system is used for a decentralized and self-organizing approach of data processing in a distributed system like a sensor network, enabling the mapping of distributed data sets to related information, for example, required for object manipulation with a robot manipulator. Traditionally, mobile agents are executed on generic computer architectures, which usually cannot easily be reduced to single-chip systems like they are required, e.g., in sensorial materials with high sensor node densities. We propose and compare two different data processing and communication architectures for the implementation of mobile agents in sensor networks consisting of single microchip low-resource nodes. The distributed programming model of mobile agents has the advantage of simplification and reduction of synchronization constraints owing to the autonomy of agents. We propose and compare two different data processing and communication architectures for the implementation of mobile agents in sensor networks consisting of single microchip low-resource nodes. T. Behrmann, C. Zschippig, M. Lemmel, S. Bosse, Rapid Control Prototyping for Energy management of self-powering Sensors and embedded Cyber Physical Systems, 1st Joint Symposium on System-integrated Intelligence: New Challenges for Product and Production Engineering, June 27th – 29th 2012: Hannover, Germany, Special Session Enabling Technologies for Sensorial Materials – Taking sensor integration, 2012. S. Bosse, F. Pantke, F. Kirchner, Distributed Computing in Sensor Networks Using Multi-Agent Systems and Code Morphing, Proceedings of the 11th International Conference on Artificial Intelligence and Soft Computing Conference ICAISC 2012, 29.4. – 3.5.2012, Zakapone, Poland, Springer, 2012. There is a growing demand for distributed computing and systems in sensor networks. We propose and show a parallel and distributed runtime environment for multi-agent systems that provides spatial agent migration ability by employing code morphing. The focus of the application scenario lies on sensor networks and low-power, resource-aware single System-On- Chip designs, used in sensor-equipped technical structures and materials. An agent approach provides stronger autonomy than a traditional object or remote-procedure-call based approach. Agents can decide for themselves which actions are performed, and they are capable of reacting on the environment and other agents with flexible behaviour. Data processing nodes exchange code rather than data to transfer information. A part of the state of an agent is preserved within its own program code, which also implements the agent’s migration functionality. The practicability of the approach is shown using a simple distributed Sobel filter as an example. K. Tracht, S. Hogreve, S. Bosse, Intelligent Interpretation of Multiaxial Gripper Force Sensors, Proceedings of CIRP Conference on Assembly Technologies, CATS 2012. Mechanical grippers are key components of handling devices in automated assembly systems. For complex handling tasks these grippers can be equipped with additional force measuring modules. This paper presents the prototype of a gripper with fingers made of sensorial material. These gripper fingers contain six single force sensors and can measure forces along multiple axes. The results of the experimental investigations of the sensor performance are shown. It is also demonstrated how further information about the handling conditions can be derived by the computational combination of the sensor signals. A sensor network will enrich the capabilities of the gripper fingers. S. Bosse, F. Kirchner, Smart Energy Management and Energy Distribution in Decentralized Self-Powered Sensor Networks Using Artificial Intelligence Concepts, Proceedings of the Smart Systems Integration Conference 2012, Session 4, Zürich, Schweiz, 21 – 22 Mar. 2012, ISBN: 978-3-8007-3423-8. Sensorial materials equipped with embedded miniaturized smart sensors provide environmental information required for advanced machine and robotics applications. With increasing miniaturization and sensor-actuator density, decentralized self-supplied energy concepts and energy distribution architectures are preferred and required. Self-powered sensor nodes collect energy from local sources, but can be supplied additionally by external energy sources. Nodes in a sensor network can use communication links to transfer energy, for example, optical links are capable of transferring energy using Laser or LE diodes in conjunction with photo diodes on the destination side, with a data signal modulated on an energy supply signal. We propose and demonstrate a decentralized sensor network architecture with nodes supplied by 1. energy collected from a local source, and 2. by energy collected from neighbour nodes using smart energy management (SEM). Nodes are arranged in a two-dimensional grid with connections to their four direct neighbours. Each node can store collected energy and distribute energy to neighbour nodes. Each autonomous node provides communication, data processing, and energy management. There is a focus on single System-On-Chip (SoC) design satisfying low-power and high miniaturization requirements. Energy management is performed 1. for the control of local energy consumption, and 2. for collection and distribution of energy by using the data links to transfer energy. Typically, energy management is performed by a central controller in which a program is implemented , with limited fault robustness and the requirement of a well-known environment world model for energy sources, sinks, and storage. Energy management in a network envolves the transfer of energy. The loss of energy ε (in the range between 0 and 1) at each node occurring each time when “energy” is routed along different nodes from a source to a destination node (assuming N intermediate nodes) reduces overall efficiency dramatically in the order of η=εN. By using electrical connections, only negligible loss of energy can be expected in a distributed network, in contrast to optical and radio wave connections which have significant loss in the order of ε≅10-30% per node. Additionally, in the latter case there is no physical interaction between a source and a sink node requesting energy, thus requiring active management (routing). To overcome these limitations and to increase operational robustness, this work proposes smart energy management performed by using concepts from artificial intelligence. Initially, the sensor network is a distributed group of independent computing nodes. Interaction between nodes is required to manage and distribute information and energy. One common interaction model is the mobile agent. Different kinds of agents with different behaviours are used to negotiate energy demands and energy distribution and to implement group communication. A multi-agent system is a decentralized and self-organizing approach for data processing in a distributed system like a sensor network. Recent work shows the benefit and suitability of multi-agent systems used for energy management. Section 2. describes the communication architecture and some aspects of the technical implementation required for a communication link which is capable of transferring and receiving data and energy. Section 3. gives a short introduction to the multi-agent approach and the agent implementation used for smart energy management, targeting single microchip technologies (SoC designs). Section 4. finally discusses some results retrieved from simulation, showing the benefits of smart energy management using agents. S. Bosse, S. Hogreve, K. Tracht, Design of a Mechanical Gripper with an Integrated Smart Sensor Network for Multi-Axial Force Sensing and Perception of Environment, Proceedings of the Smart Systems Integration Conference 2012, Session 5, Zürich, Schweiz, 21 – 22 Mar. 2012, ISBN: 978-3-8007-3423-8. The dynamic process of grasping different kinds of objects which are pressure sensitive is difficult to handle with classical feedback controllers based on few force sensor values acquired and processed outside of the gripper structure. Side effects like slipping can not be detected at all or too late. Miniaturized smart sensors embedded in structures like grippers can significantly increase the perception of the environment with which a structure interacts. A high-density network of strain-gauge sensors distributed in/on the gripper structure providing local sensor signal-to-information computation can deliver much more suitable information. Traditionally, strain-gauge sensors are used to measure an applied force in a specific direction. The analog signal acquisition is difficult due to low noise immunity of weak input signals. External signal acquisition with a large distance from sensor to electronics raises noise and reduces signal-to-noise ratio and resolution. We propose and demonstrate the integration of an active smart sensor network into a mechanical gripper structure (finger). The network consists of several highly miniaturized low-power sensor nodes providing sensor signal acquisition, data processing, and communication. Each sensor node can handle up to two strain-gauge sensors detecting different forces at different positions of the gripper structure. The relation between strain and force is derived from FEM simulation of the gripper structure under certain load conditions. Each node performs sensor signal acquisition using a zooming ADC approach, sensor data evaluation, and auto-calibration. Hence, non-calibrated and non-long term-stable sensors can be integrated and used, a prerequisite for robust sensorial materials. It can be demonstrated that an integrated sensor network leads to increasing functionality and robustness. A smart communication protocol is used to provide robust and fault-tolerant communication between nodes and an external interface, for example, a generic processor-based controller. Beside the collection of single force values measured at different positions of the gripper, temporal and spatial composition information derived from the set of measured forces can be computed using data fusion, performed by the nodes of the sensor network itself using distributed computing algorithms. These are overload conditions, force gradients, object recognition and classification, and other higher-level information which can be computed. A multi-agent system is used for a decentralized and self-organizing approach of data processing in a distributed system like a sensor network, enabling the mapping of distributed data sets to related information required for object manipulation. K. Tracht, B. Kuhfuss, E. Brinksmeier, M. Busse, L. Kroll, S. Hogreve, M. Garbrecht, D. Lehmhus, M. Heinrich, S. Bosse, Enabling the factories of the future: The role of smart systems in manufacturing and robotics, Proceedings of the Smart Systems Integration Conference 2012, Special Session EpoSS, Zürich, Schweiz, 21 – 22 Mar. 2012, Presentation, 2012, ISBN: 978-3-8007-3423-8. Smart Systems for Manufacturing, Smart Products, Smart Production, Intelligent tools and processes: Sensor integration, embedded systems, real-time data evaluation, improved process understanding and modeling that allow immediate reaction to processing deviations, data evaluation and knowledge accumulation that allow derivation of reaction strategies, predictive maintenance etc. Guidance through production assistants: Reduction of external control complexity by provision of multiple sensor/signal- and knowledgebased, simplified views on production status to operators. Intelligent production design process: Use of sensorial materials as product models for physical simulation/evaluation of production designs in experimental machine setups. User-friendly human-machine-interfaces (HMI): New ways to communicate status information and justify decisions in part or fully autonomous production systems.